Highlights of this 2013 Nissan Rogue S include: REDUCED FROM $10,500! FUEL EFFICIENT 27 MPG Hwy/22 MPG City! iPod/MP3 Input, CD Player, [B93] REAR BUMPER PROTECTOR, All Wheel Drive. Highlights of this 2011 Volkswagen Jetta TDI include: LOW MILES - 46,518! FUEL EFFICIENT 39 MPG Hwy/29 MPG City! Heated Seats, Premium Sound System, Satellite Radio, Aluminum Wheels, Turbo Charged Engine, Diesel. CarAndDriver.com's review says The SportWagen retains its expensive first-rate interior, sophisticated rear suspension, and rear disc brakes.. Highlights of this 2012 Volkswagen Jetta TDI w/Sunroof include: CARFAX 1-Owner, Volkswagen Certified. FUEL EFFICIENT 42 MPG Hwy/30 MPG City! Heated Seats, Sunroof, Panoramic Roof, Diesel, Alloy Wheels, Turbo Charged. CarAndDriver.com's review says The wagon has a first-rate interior, a sophisticated rear suspension, and rear disc brakes.. Highlights of this 2015 Volkswagen Jetta 2.0L S include: CARFAX 1-Owner, LOW MILES - 44,659! FUEL EFFICIENT 34 MPG Hwy/25 MPG City! CD Player, Bluetooth, iPod/MP3 Input. Highlights of this 2013 Volkswagen Jetta TDI include: Volkswagen Certified, CARFAX 1-Owner, ONLY 51,940 Miles! EPA 39 MPG Hwy/29 MPG City! Heated Seats, Premium Sound System, Satellite Radio, Aluminum Wheels, Turbo Charged Engine, Diesel. The wagon has kept its nicer interior and sophisticated rear suspension. -CarAndDriver.com. Highlights of this 2014 Subaru Forester 2.5i include: REDUCED FROM $13,000! EPA 29 MPG Hwy/22 MPG City! CARFAX 1-Owner. Bluetooth, CD Player, iPod/MP3 Input, All Wheel Drive. Edmunds.com's review says What may be more important for most people is that the 2014 Forester's all-new platform adds a massive 3.7 inches of rear legroom. Also helping is the stadium-type placement of the rear seats. . Highlights of this 2016 Volkswagen Jetta 1.4T S include: CARFAX 1-Owner, LOW MILES - 30,022! EPA 39 MPG Hwy/28 MPG City! CD Player, iPod/MP3 Input, Turbo Charged. Highlights of this 2016 Volkswagen Jetta 1.4T S include: EPA 39 MPG Hwy/28 MPG City! CD Player, iPod/MP3 Input, Turbo. Highlights of this 2017 Volkswagen Jetta 1.4T S include: EPA 38 MPG Hwy/28 MPG City! CARFAX 1-Owner. Bluetooth, CD Player, iPod/MP3 Input, Turbo Charged, Back-Up Camera. 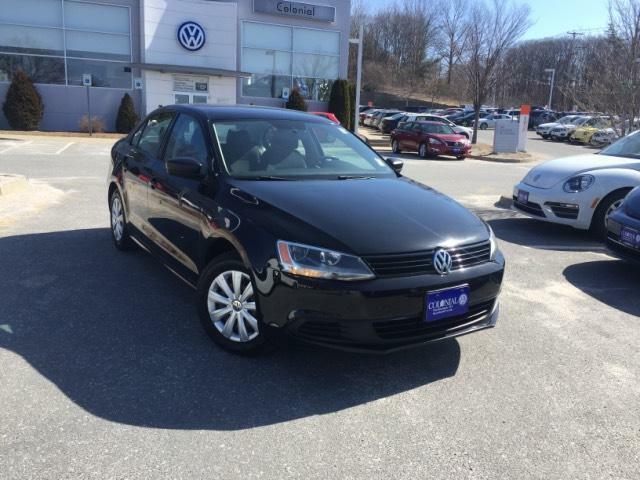 Highlights of this 2014 Volkswagen Jetta TDI w/Sunroof & Nav include: Volkswagen, CARFAX 1-Owner, ONLY 47,814 Miles! FUEL EFFICIENT 42 MPG Hwy/30 MPG City! Nav System, Moonroof, Heated Seats, SPLASH GUARDS (SET OF 4), Panoramic Roof, Turbo Charged Engine, Aluminum Wheels. SportWagen interior is equal to that in cars costing thousands more. Solid, soft-touch materials abound. -newCarTestDrive.com. Highlights of this 2012 Volkswagen Jetta TDI include: GREAT MILES 38,622! EPA 42 MPG Hwy/30 MPG City! Heated Seats, Satellite Radio, iPod/MP3 Input, Alloy Wheels, Turbo, Diesel. Highlights of this 2013 Volkswagen Golf TDI include: LOW MILES - 49,546! FUEL EFFICIENT 42 MPG Hwy/30 MPG City! Heated Seats, Diesel, Satellite Radio, Alloy Wheels, Turbo Charged, Rear Air. Edmunds.com's review says With an uncommon blend of refinement, performance and plentiful features, the 2013 Volkswagen Golf remains high on our list of hatchback picks.. Highlights of this 2013 Volkswagen Jetta TDI w/Sunroof include: CARFAX 1-Owner, Volkswagen, LOW MILES - 16,671! FUEL EFFICIENT 39 MPG Hwy/29 MPG City! Sunroof, Heated Seats, Diesel, Panoramic Roof, Alloy Wheels, Turbo. CarAndDriver.com explains The wagon has kept its nicer interior and sophisticated rear suspension.. Highlights of this 2012 Volkswagen Jetta TDI include: Volkswagen Certified, CARFAX 1-Owner, GREAT MILES 19,233! EPA 39 MPG Hwy/29 MPG City! Heated Seats, Satellite Radio, iPod/MP3 Input, Alloy Wheels, Diesel, Premium Sound System. CarAndDriver.com explains The wagon has a first-rate interior, a sophisticated rear suspension, and rear disc brakes..